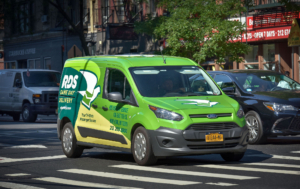 RDS Same Day Delivery provides fast and efficient messenger service in NYC. Our professional, uniformed couriers take pride in their work and always look out for your customers’ best interests. One- to two-hour delivery within zone. 60 minutes within zone. We will take your order from point A to point B with no stops in between. RDS Same Day Delivery is open Monday-Friday from 7:30 a.m. to 9 p.m., and on Saturdays from 9 a.m. to 5 p.m. When you need delivery service on Sunday or after hours, just call our team during normal business hours, and we’ll make it happen! Customized address book—never make a typo again! Want to see our customer portal in action? Just call our team to take an online tour! What’s the value of a uniformed courier? Your customers will immediately feel more comfortable with their delivery service. No matter where our messengers go, their uniforms instill trust in our service and help pave the way for a positive customer experience. We reward our customers with a choice of discount programs. RDS Same Day Delivery offers corporate volume discounts and flat rate programs. Call our team today to learn more about these cost-saving opportunities. Let us work for you while you’re fast asleep! When you need 10 or more flat envelopes less than 2 pounds delivered at once, we’ll complete your deliveries the next business day before 1 p.m. Best of all? It will cost you only $5.95 per delivery. *Offer applies to Battery Park City through 110th Street. We know that delivery needs vary between different industries. 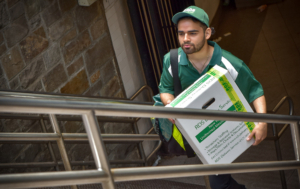 For this reason, RDS Same Day Delivery offers specialized delivery services—from medical messenger service in NYC to retail delivery services. Ready to get started? Get a quote for your delivery right away. To learn more about our messenger service in NYC or to speak with one of our representatives, fill out our online form or call RDS Same Day Delivery at 212-260-5800 today.